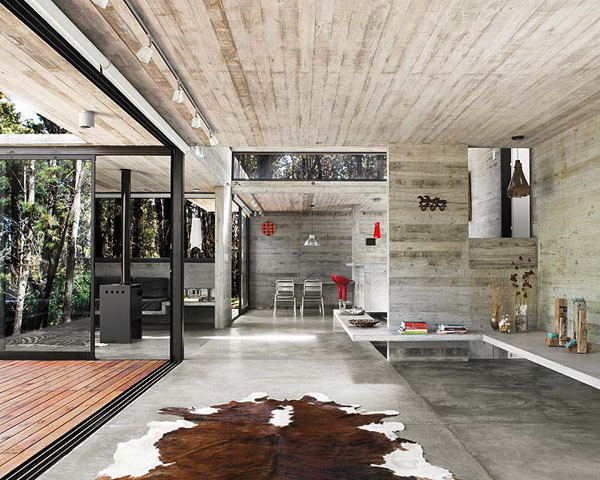 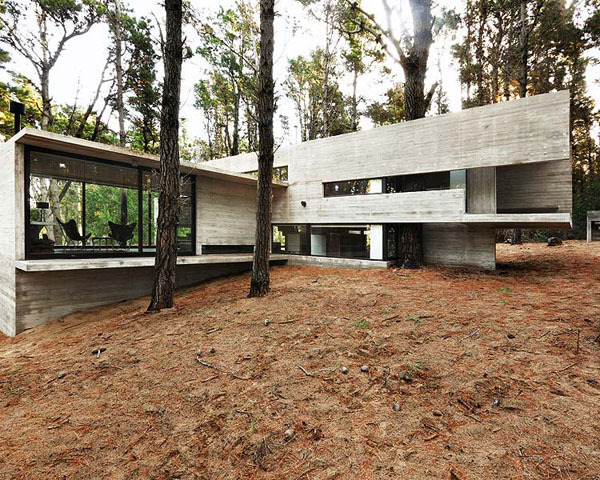 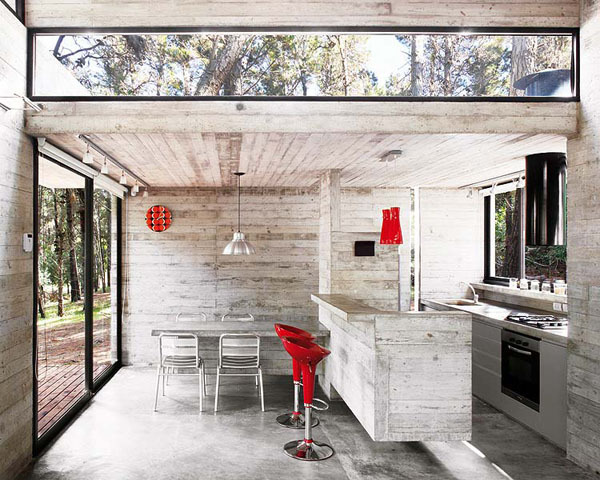 This modern vacation cottage by BAK Architects is nestled into its surroundings, just 250 miles south of Beunos Aires. 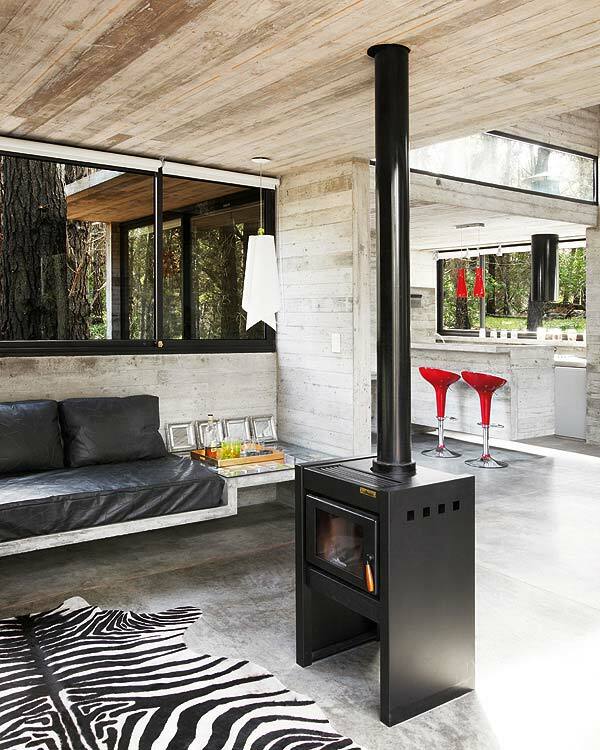 Like many of the other projects in their portfolio, with Bajo Minimos, BAK strove to have a minimal impact on the natural environment. 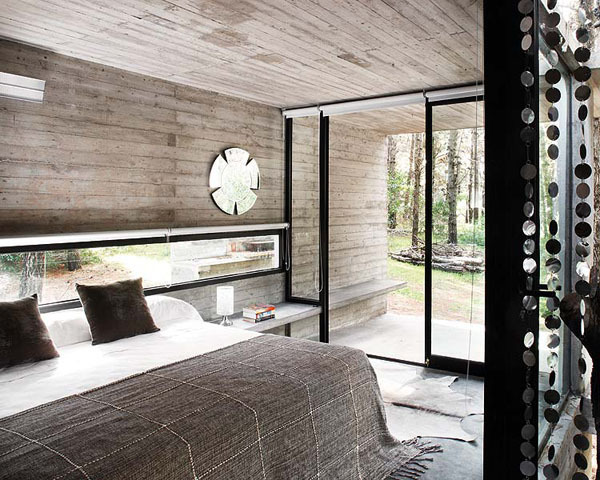 The resulting concrete construction elegantly emerges from the ground, opening up space below for a well lit basement/bedroom. 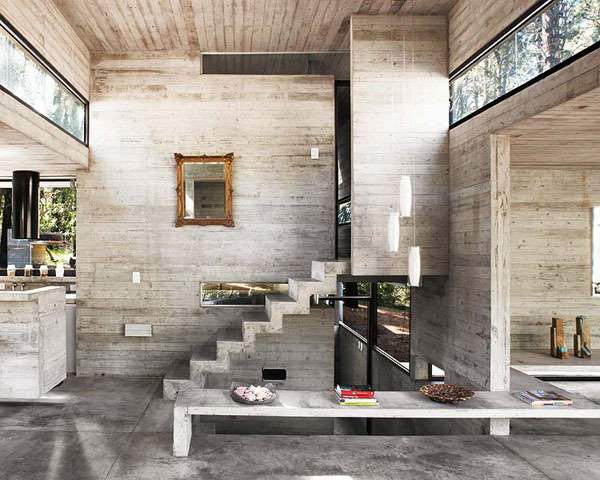 Concrete acts as the primary material for construction, casework, furniture and stairs while fur throws soften the more intimate areas. 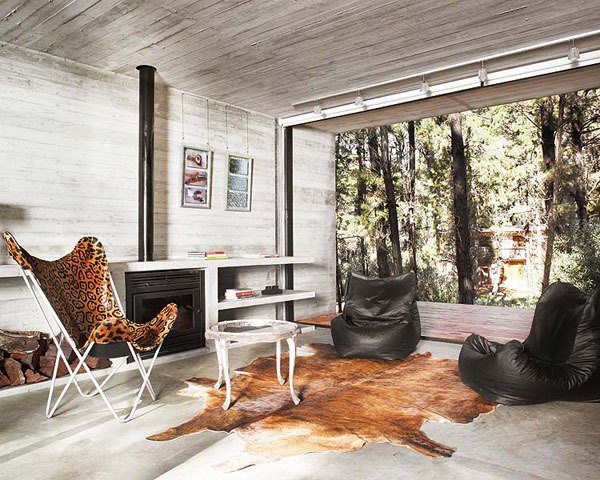 At first glance this cottage may appear as a typical modern concrete construction, but after lingering a little longer, the intricacy of the cut-outs and glazing to provide the maximum amount of natural light throughout the space is quite impressive.